This year marks the eighth edition of The Fittest Games, a CrossFit competition pitting up to 480 athletes against one another in four different divisions. However, this is the first year that the event will work with a non-profit organization to help raise awareness and funds. Austin-based non-profit, The Flatwater Foundation, will serve as the charitable beneficiary. 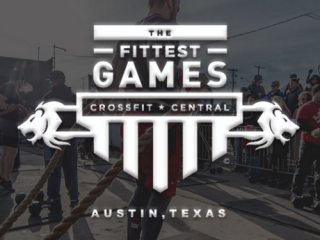 The Fittest Games will host a charity WOD (Workout Of the Day) on Saturday, January 31. In order to compete in the WOD, participants must be among the first 100 individual fundraisers to raise $150 or more. Learn more about registration, the charity WOD and event times through the CrossFit website.